When you get an accessory for a smartphone you expect it to be comparable in size, otherwise the mobility and comfort of work deteriorates dramatically. 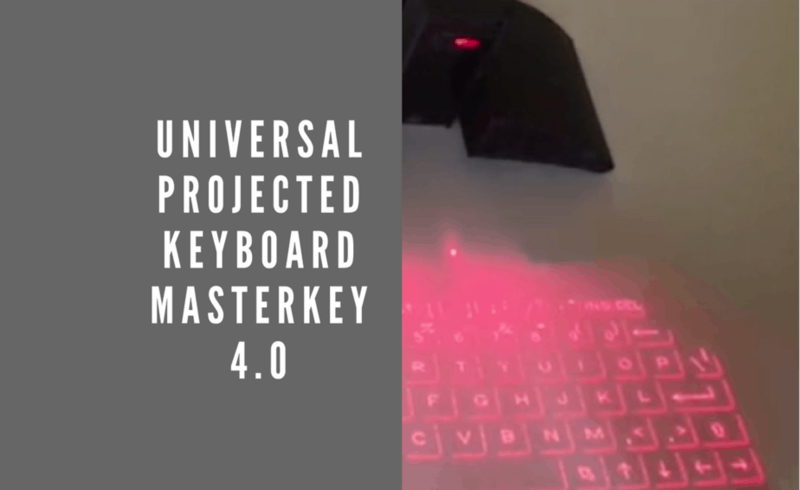 What about a device that has no constant physical form, as in the case of the keyboard Masterkey 4.0, which is projected by a laser beam to the surface. In the deactivated form, it is no more than a cover for a smartphone, when activated – in front of you a full-sized QWERTY keyboard for working with documents. 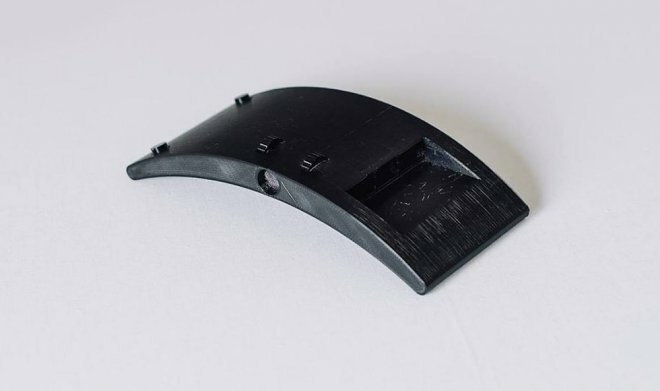 The technology of the projected keyboard Masterkey is developed by its authors, they wanted to get not just a toy for geeks, but a universal gadget that would make the physical keyboards a reality. Simply because you can, at any time, deploy it on the table, at home or on the wall for the audience. The projector provides an increase in the image up to 120 inches diagonally, however at the maximum resolution of 854×480 pixels the image does not differ in detail. The contrast parameter is 2000:1, the brightness is no more than 100 lumens with manual correction of sharpness. 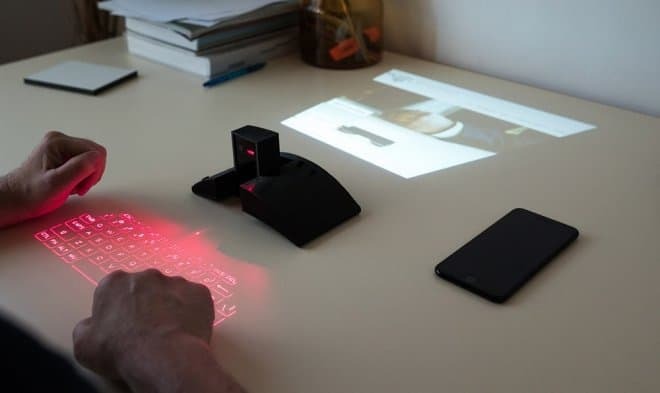 By default, a keyboard with dimensions of 10 by 4 inches is projected, an integrated infrared camera tracks “pressing” at a speed of up to 350 characters per minute. Masterkey 4.0 connects to a smartphone with iOS / Android via Bluetooth 4.0, and to other devices via USB or HDMI. The built-in battery capacity is 5200 mAh, there is a microSD port as well. This startup offers two versions of a projected keyboard, a basic one at $169 and a business model for $249. If the fundraising is going according to plan, Masterkey 4.0 will be available in January 2019.